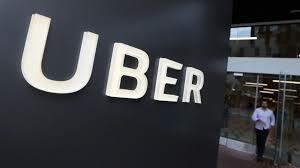 Uber Technologies Inc revealed details of its initial public offering (IPO) filing, and said that over 90 million riders have used the service across the globe. The Uber filing gave an overview of the financial picture of the ride-hailing company, which is facing significant pressure from competitors. Uber was established in 2009 and has transformed the manner in which many millions commute to their homes and offices but continues to lose money at an alarming rate. Uber’s filing with the U.S. Securities and Exchange Commission showed that the company had 91 million users on its platforms by the end of 2018. It also said that it may not achieve profitability attributing this to the significant increase in operating expenses that it expects in the foreseeable future. The company did not reveal the size of the IPO but has set a placeholder amount of USD 1 billion. Based on a Reuters report, Uber has plans to sell around USD 10 billion worth of stock at a valuation that ranges between USD 90 billion and USD 100 billion. Bankers had earlier projected that Uber could be worth as much as USD 120 billion. Uber’s rival, Lyft had recently gone public. There are many concerns about the path that Uber would take when it comes to automated vehicles. This technology is seen as one that could lead to lower costs but could also transform Uber’s business model. After making the public filing, Uber plans to begin a roadshow comprising a series of investor presentations from the week of April 29. The company is on track to price its IPO and begin trading on the New York Stock Exchange in early May. One key advantage that Uber has is that it is the largest player in many of the markets that it has a presence in. In order for Uber to become profitable, it will be necessary to build scale to a critical mass. Uber Chief Executive Dara Khosrowshahi will also have to convince investors that he has been able to transform the company’s culture and business practices after a recent series of scandals including allegations of sexual harassment, a huge data breach that Uber failed to reveal to regulators, use of illicit software to evade authorities and allegations of bribery in overseas markets. Khosrowshahi joined Uber in 2017 from Expedia Inc as a replacement for the company’s co-founder Travis Kalanick who was forced to resign as the CEO. This adverse publicity has had significant impact on Uber’s image in the United States and Canada. Its position in many overseas markets has also been affected by the competition from smaller, local rivals leading Uber to withdraw from markets like Russia.